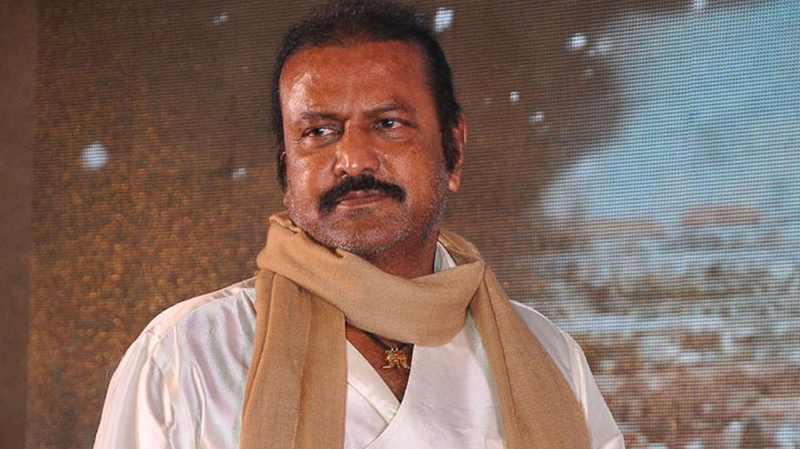 A Hyderabad court on Tuesday sentenced veteran Telugu actor-producer M. Mohan Babu to one year imprisonment in a cheque bounce case. The 23rd Metropolitan Special Court, which convicted Mohan Babu in the nine-year-old case, also directed him to pay Rs 40.75 lakh towards the defaulted amount. His production house Lakshmi Prasanna Pictures was also found guilty and the court imposed Rs 10,000 fine on it. Well-known director Y.V.S. Chowdary had filed the case against the actor in 2010 after he allegedly failed to pay the amount. Mohan Babu had issued a cheque for Rs 40.75 lakh to Chowdary towards the payment for movie "Saleem" released in 2009. However, the cheque bounced on account of insufficient funds. As Mohan Babu failed to pay the amount, the director approached the court. According to Chowdary's lawyer Satya Sai Baba, Mohan Babu made an agreement with the director for Rs 1.55 crore to direct the movie. He had paid Rs 1.10 crore in different instalments. Under the final instalment, he issued cheque for Rs 40.75 lakh after deducting the tax. Meanwhile, Mohan Babu said in a statement that he will challenge the conviction in a higher court. He alleged that Chowdary misled the court and claimed that he had paid the entire amount towards "Saleem" and the cheque was issued for another film to be made under his banner. "However as "Saleem' did not do well, I told Y.S. Chowdary that I will not be making the next film. I asked him not to deposit the cheque in the bank but he went ahead resulting in the cheque bounce," said Mohan Babu. He was the producer of "Saleem", starring his son Vishnu Manchu and Ileana D'Cruz. Mohan Babu, who was earlier with Telugu Desam Party and served as member of Rajya Sabha till 2001, joined YSR Congress Party last week.